First Zane Lowe snags a coveted interview with Drake, and now he’s premiering an exclusive track from Chance the Rapper’s newest mixtape, Chance 3, ahead of its expected release tomorrow. 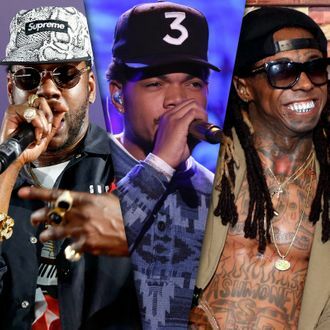 Featuring Lil Wayne and 2 Chainz, “No Problem” is nothing but positive, happy vibes — so we hope Chance is jamming out to the fire tune as he recovers from his pneumonia. Listen below.